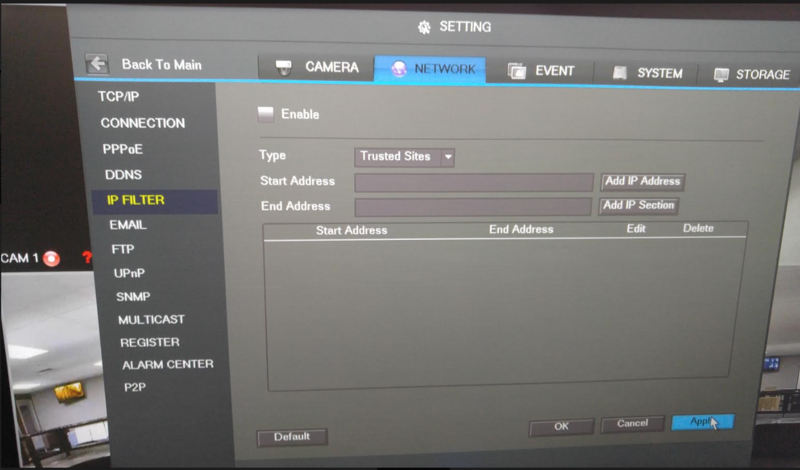 If you have blacklisted an IP address on the DVR/NVR IP filter by mistake, all IP addresses are blocked and access will not be allowed through any IP address to your system. 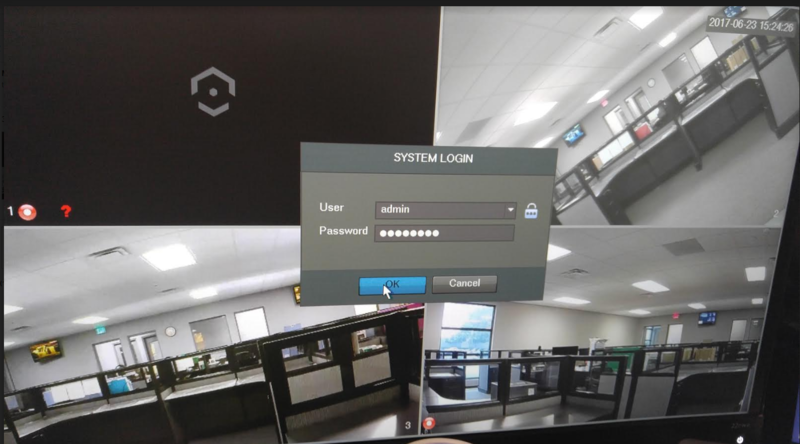 This will also affect your access to other features like Amcrest Surveillance Pro. 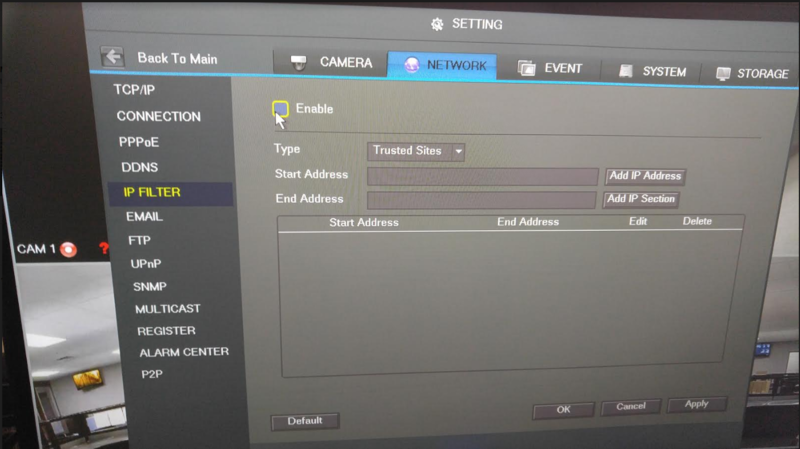 1) Please connect your NVR/DVR to a monitor/TV. This will be a temporary connection. 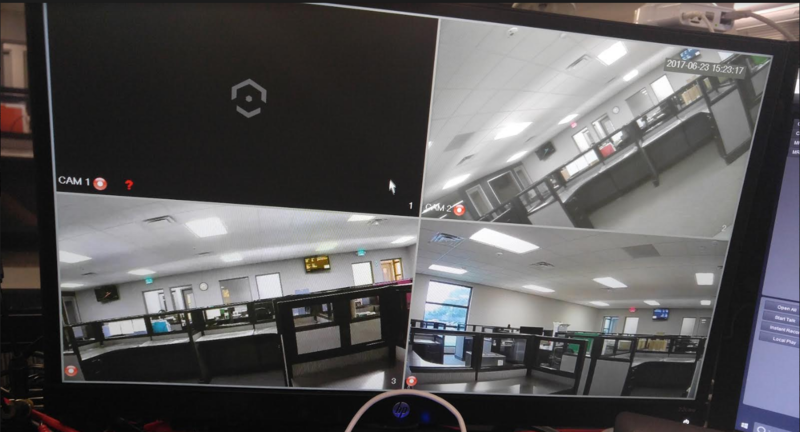 Once the monitor is connected to the system, the screen should show the camera's images like the image below. 2) Using the mouse, right-click and a menu will appear. 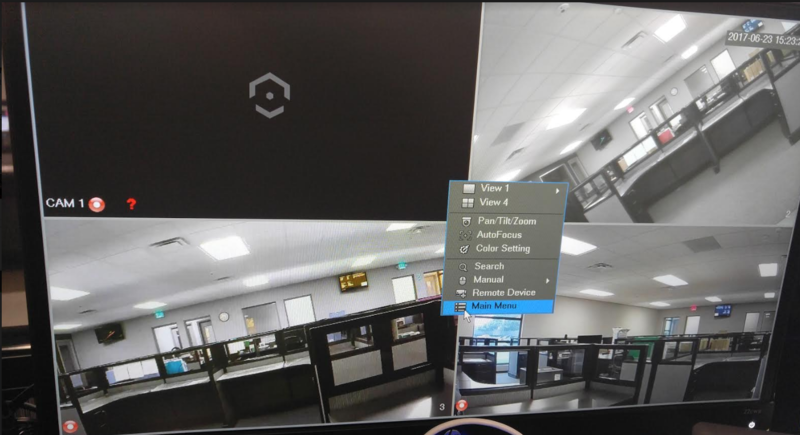 Please highlight and click to select the Main Menu. 3) The login screen will appear. 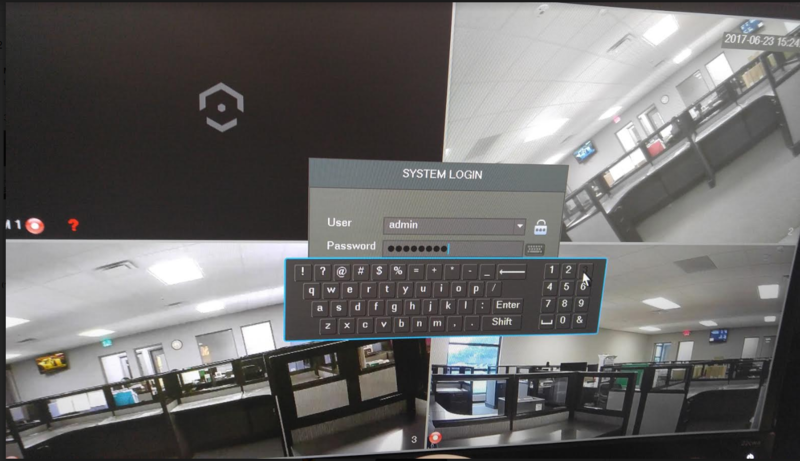 Please login with your current NVR/DVR credentials. 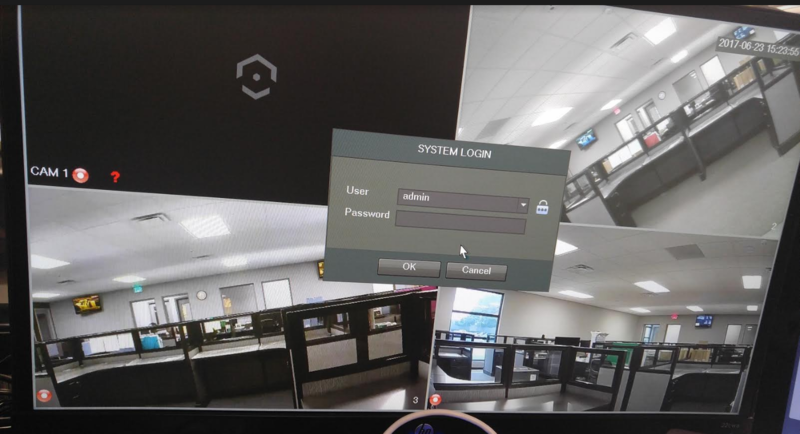 In most cases, the username is admin and the most current password created for the device. 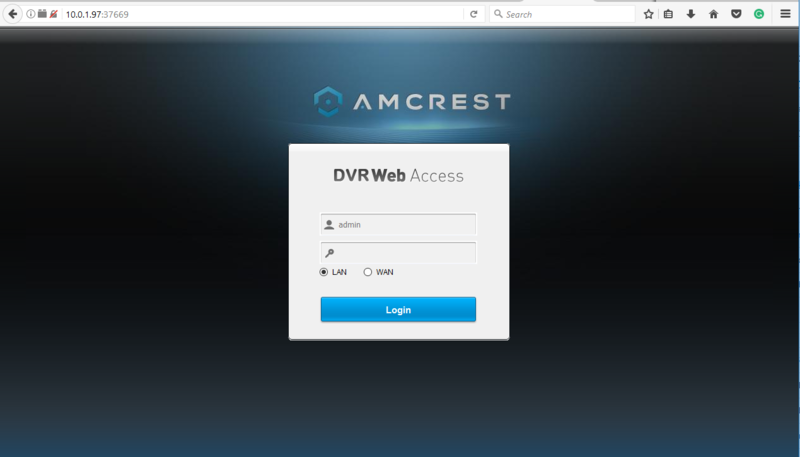 For further password assistance, please contact us at support@amcrest.com or call us at 1-888-212-7538. For security reasons and to help deter any unauthorized password requests, please be prepared to submit proof of ownership. 4) Once your credentials are inputted, press OK.
5) This will direct you to the Main Menu screen. Navigate to Settings row, then select Network. 6) This will direct you to a new screen. 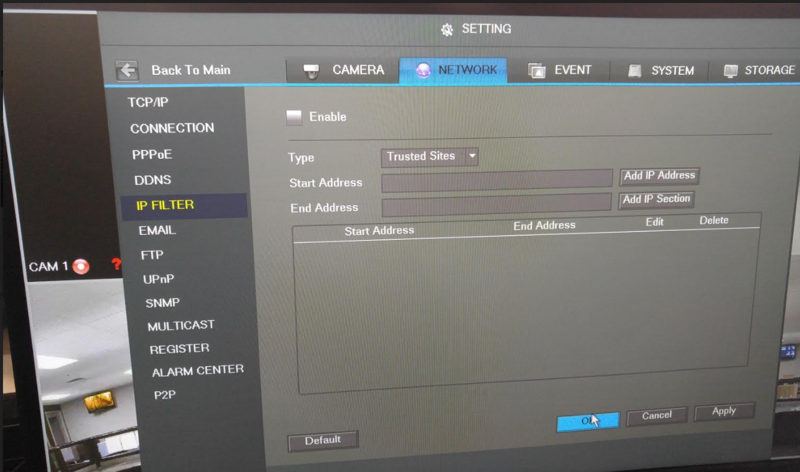 On the left-hand side of the screen, navigate to IP Filter. Uncheck the Enable button to disable the filter. 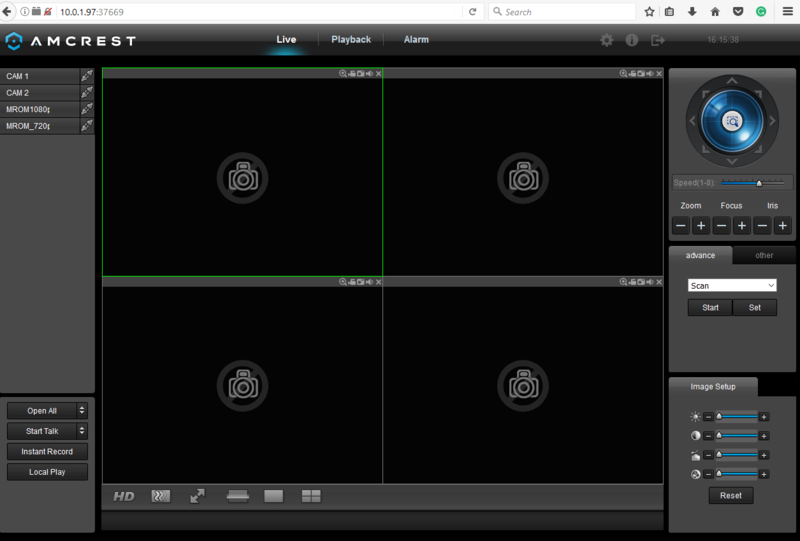 10) Now to make the new settings active, please click on Apply on the lower-right hand side of the screen. 11) Click OK to finalize the changes. 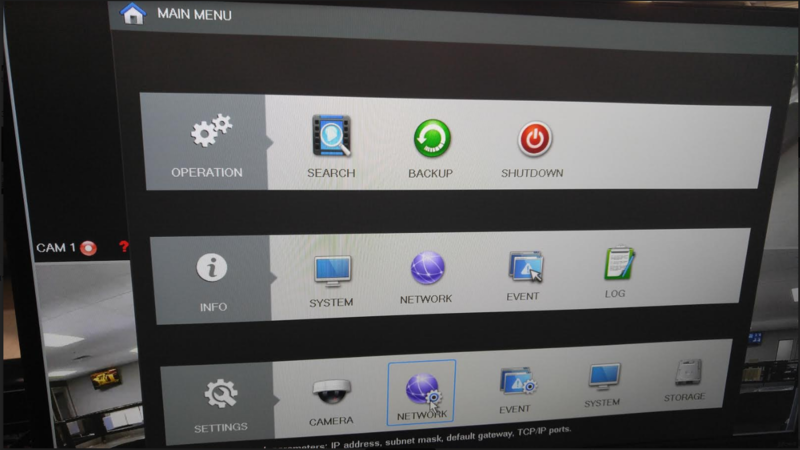 12) At this point, you can go back to any PC and login as usual and regain access to your NVR/DVR.